Bungie has finally pulled back the curtain and let us take a closer look at the first zone we’ll be spending time with in Destiny 2! We got a closer look at one of the long requested features finally coming in D2, the zone maps. When you first begin exploring each of the zones, your map will only feature a few things of note — but as you play through the game, it will begin to populate with more activities. 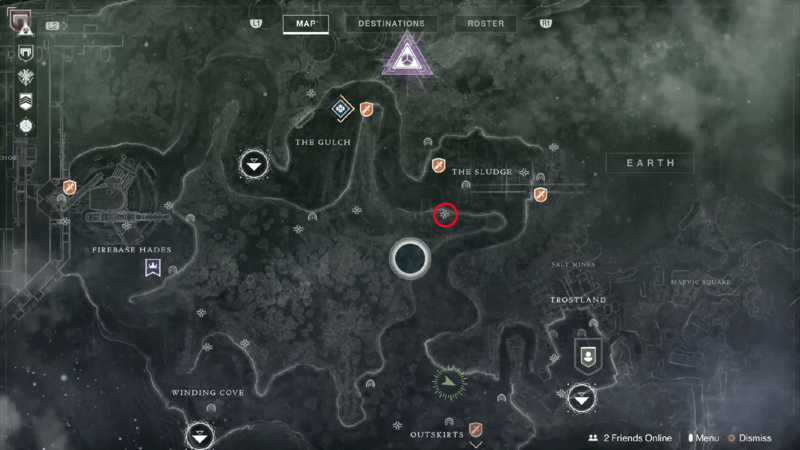 Many of these icons can be tracked and fast traveled to, such as Public Events and Adventures, while things like Lost Sectors and Regional Chests will be marked on your map, but it will be up to you to locate their exact position. Hovering over specific icons on the map reveals a bit of information on the activity, such as countdown timers for Public Events or possible rewards for completion. A small sampling of the new Adventures was on display today as well. As we’ve known for some time now, each of these activities provides additional story content, along with multiple objectives that take you to numerous locations. In one example, Guardians are tasked with testing out a theory that Ikora has by looting a Cabal power cell from a crashed ship and placing it into a nearby terminal. From there, you are sent to a nearby Cabal Fire Base where you end up engaging in an extremely hectic firefight while simultaneously working to expose power cores in an effort to overload the firing mechanisms on Cabal weaponry. Other examples we saw included stealing explosives from a Fallen lair and transmitting them up to the surface, where players end up placing them as a trap for advancing Cabal forces. Each of these new activities generally take between 10-15 minutes to complete, and rewards Guardians for their efforts with loot at the end. As a supplement to the main Red War campaign, along with World Quests (which we didn’t get a look at today), Adventures look like a fantastic way to keep players coming back to the planets of D2 and an easy way to get loot. We saw a few different Public Events that can start around the EDZ. Some of these events have a nearby flag that when activated will completely fill your Super bar! While some of these Public Events bear a resemblance to those found in D1, there’s also brand new types of events, as well as the opportunity for you to unlock their heroic versions for more challenge and loot. One notable event that was shown was called “Ether Resupply” in which a giant Servitor descends upon the area and you are tasked with destroying it. It’s not quite that straightforward however, as the Servitor has the ability to teleport players to different areas around the battlefield. Other examples included chasing down Fallen extraction teams and defending an area from a Cabal mining expedition while ballistic missiles rain down all around you. Heroic public events can be triggered by completing secret objectives during the event that aren’t immediately apparent. They will require some experimentation in order to activate them. 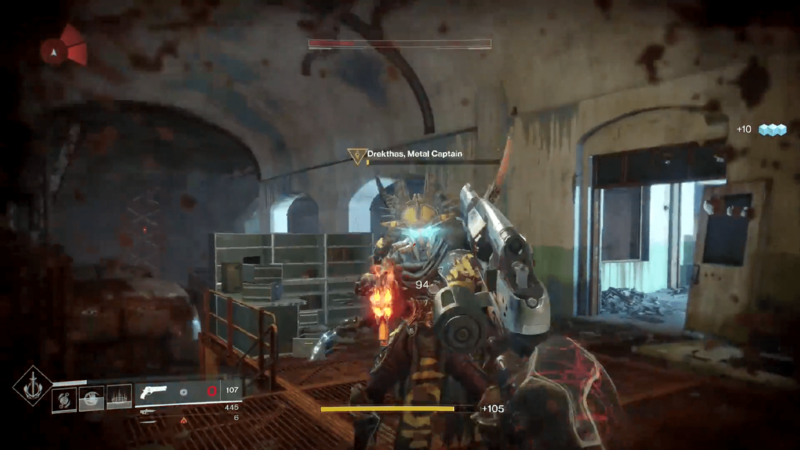 Once the conditions have been met, Guardians are given a new notification that they’ve joined a Heroic Public Event and the difficulty is increased, featuring more enemies or an additional boss. And finally there will also be the weekly Flashpoints. Every Tuesday after reset, a new location will be the featured Flashpoint. Guardians will be tasked with heading to that location and completing Public Events for Nightfall-tier rewards. While players will be able to mark and track Adventures and Public Events from their in-game map, they will be on their own when it comes to discovering Lost Sectors & Regional Chests. You’ll still be able to see the general area they can be found on your map, but you’ll have to spend a bit of time exploring the area to find their exact location. Once you do make your way in, you’ll work your way deeper within the area until finding an enemy lair. These locations are filled with enemies, including a named boss that guards a chest. Each boss will hold Supply Codes that you must claim before you can open the chest. 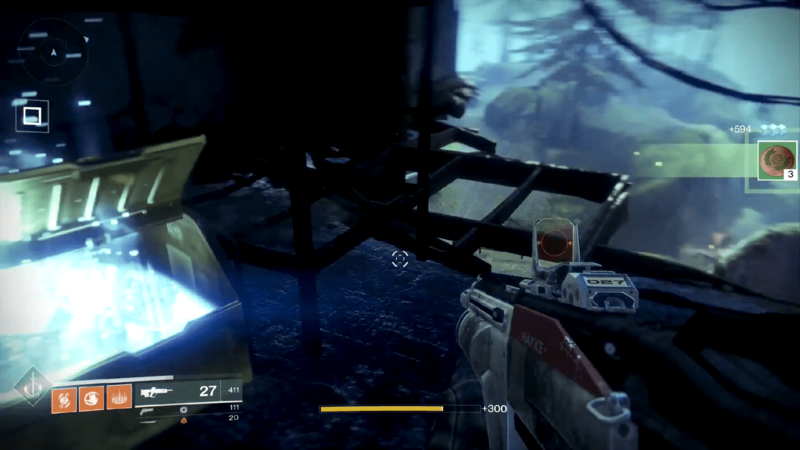 Of course, Guardians will still be able to stumble upon the classic Patrol beacons that we know and love (or loathe) from D1. These are by far the smallest type of activity that you can start while on patrol in D2, and include staples like collecting items from enemy kills, assassinating specific targets, etc. In addition, many types of events that used to be restricted to Patrol missions now take place freely in the open world. As you explore the EDZ and other planets, you will come across high value targets, that will reward a chest when killed. You’ll also find things like enemy forces battling each other and roaming bands of Pikes. One interesting thing to note is these random encounters can happen at any time — meaning you could be in the middle of a Heroic Public Event when a high value target could join the fray, making the battle even more chaotic. Finally, there’s also loot to be found throughout the zones in caches known as Regional Chests. Unlike the D1 Gold chests, which would drop low level greens even when found at max level, these are relevant throughout the game. These chests are highlighted on the map. We got our first look at two forms of in-game currency, the EDZ Tokens and Dusklight Shards. 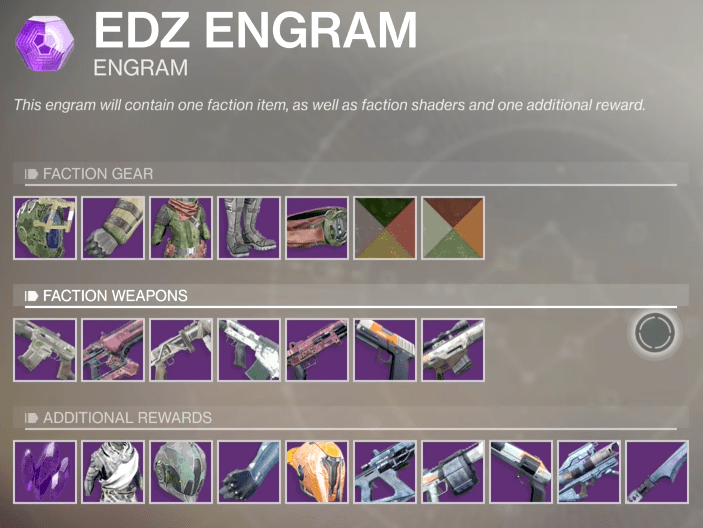 Pretty much every activity you complete and chest you loot in the EDZ gives EDZ Tokens, while the Dusklight Shards are found in the wild, like planetary materials from D1. They are both used in exchange for reputation with Devrim Kay, a new NPC found in the upper levels of the Trostland church found in the EDZ. 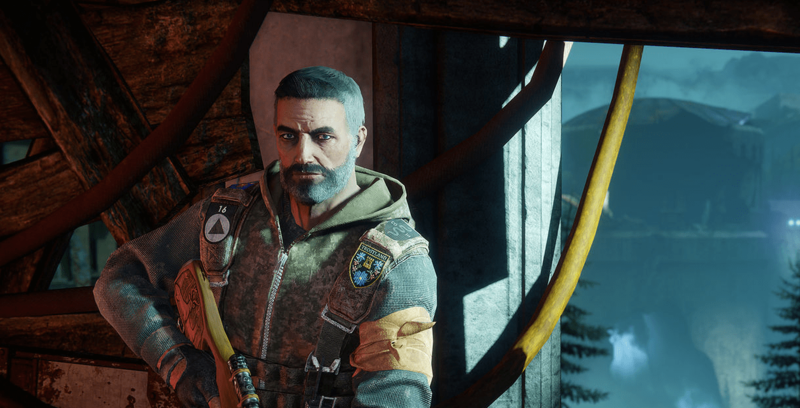 Devrim is a battle-hardened sniper with a British accent and a mean beard. In exchange for the EDZ Tokens and Dusklight Shards, he provides reputation, and once you level up your rep with him, he will award players with an engram that contains Legendary gear. This gear includes EDZ-themed weaponry and armor sets. 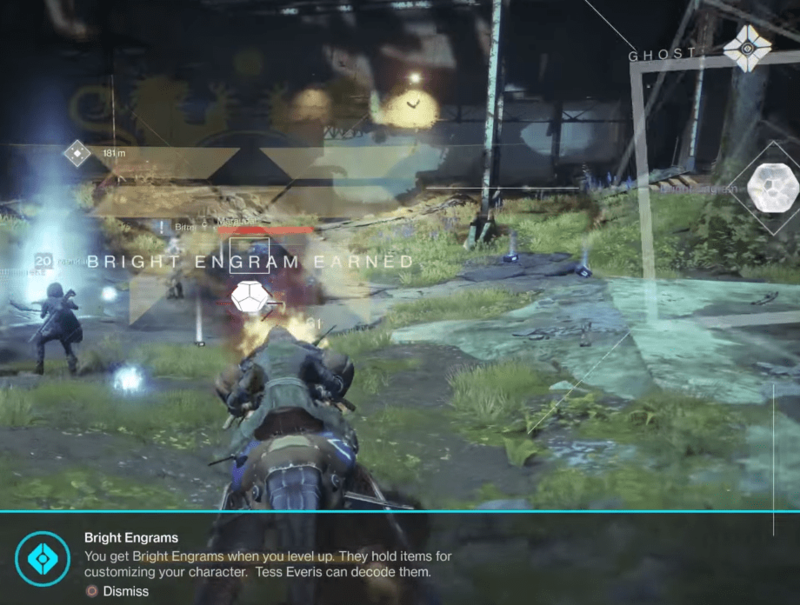 When your XP meter fills up at the level cap, instead of awarding players Motes of Light, you will receive a Bright Engram that reward customization items. Exotic Engramscan be earned from public event chests. Shaders appear to be one-time use items now, as a few shaders were seen to drop from chests in a batch containing 3. This makes sense, as pretty much every piece of gear, including weapons, can now have a shader applied. 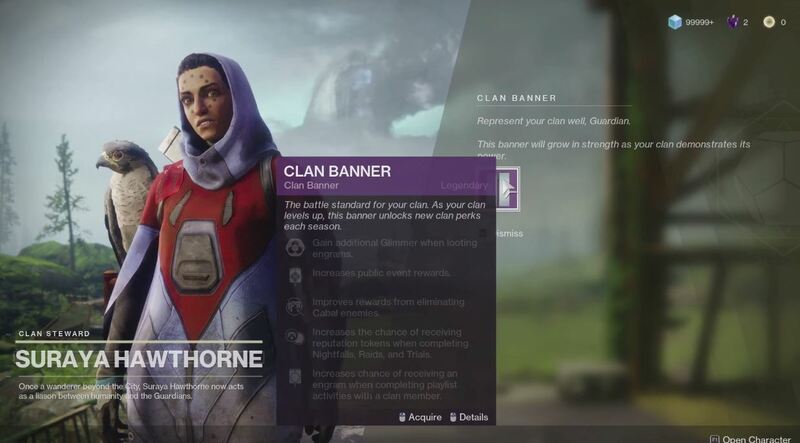 The Taken King subclasses appear to be confirmed! What do you all think about the new zone? Do the gameplay reveals from today leave you feeling more excited for Destiny 2?